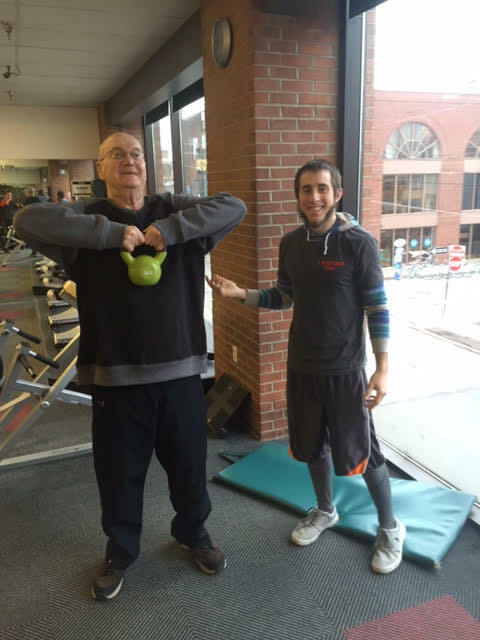 Meet X Shadyside Personal Training client, Tom! A former member of the United States Marine Core, Tom has been working with personal trainers at X Shadyside for over 3 years. For the past 6 months he’s been working with Personal Trainer, Josh. Tom has come a very long way and has made a tremendous amount of progress over the past 3 years training at X Shadyside. Started doing mostly machines but has been able to incorporate many new free weight exercises! And can do 5.3 miles on the stationary bike in 30 minutes. When he started he could only do 2 miles in 30 minutes. Tom’s favorite exercises are banana crunches and assisted pull-ups!